Baseball is back, and so is the unrelenting thunder that the Cubs can provide. We didn’t see much of it last year, but my goodness was it on display today. Bryant and Baez just smacked the Rangers around today, lets go to the video.
.@javy23baez hits the first #Cubs home run of 2019.
.@javy23baez cranks a first-pitch three-run blast in the 5th! WHO DO YOU THINK YOU ARE?? I AM! Thanks again to Scott Johnston for sharing, give him a follow on twitter. At this point in the spring I really don’t care about what the box score says despite the fact that I provide one to you daily. What I do care about is the eye test, and how guys feel after performing, and it appears that all is good on that front for Yu Darvish. 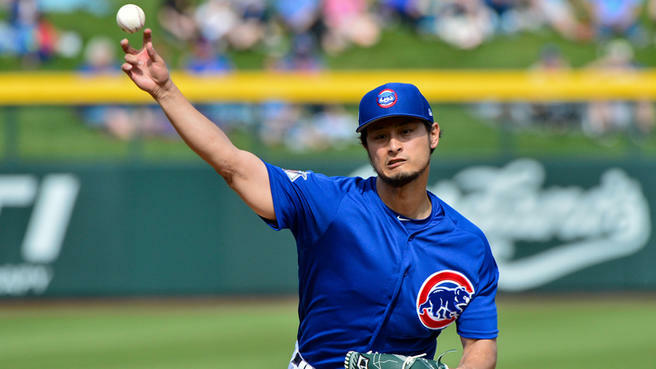 Darvish made his 2019 debut which was highly anticipated coming off a lost 2018 that ended prematurely with an injury. Reports from the game were that Darvish was sitting at 94-95 MPH, and touched 96 per Cubs Insider/Len Kasper. All in all Darvish worked 1.1 innings and struggled in finding the strike zone. 36 pitches, 17 for strikes doesn’t exactly scream excitement but again, he looks and feels good. The Cubs scuffled again at the plate but they definitely made the most of their hits. They only had three hits but managed to push across four runs which obviously wasn’t enough because if you read the headline you already knew they lost. Albert Almora Jr. smacked a double out of the lead-off spot, and Javy Baez picked up his first hit of the Spring in the loss. Cole Hamels will make his 2019 debut against the Rangers, the team he spent the majority of 2018 with. 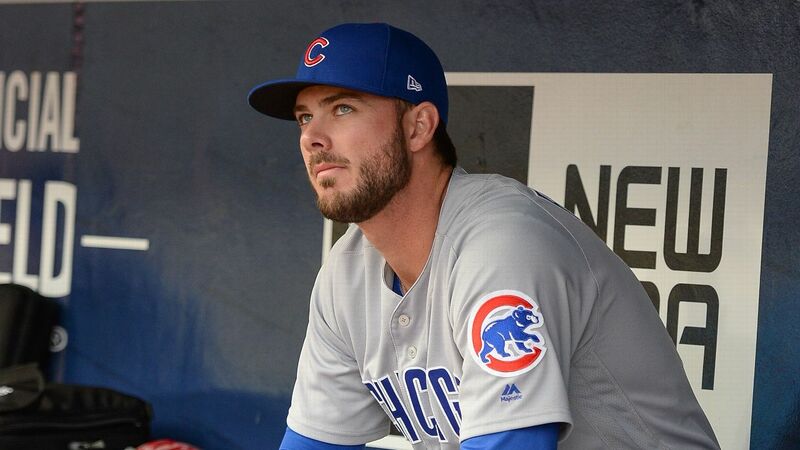 I don’t understand the thought process, but the Cubs decided to let Kris Bryant only play in one game today, so obviously they only won that one. That’s right, the dream of an undefeated season came to an end today as the Cubs could only take care of the Padres while losing to the Dodgers. This one was an uphill battle from the jump as the Dodgers blitzed the Cubs for three quick runs in the bottom of the first off Christian Bergman. It didn’t get much better from there as Cubs’ pitchers combined to give up fourteen hits, and eleven runs over eight innings of work. To make things worse, the combo of Bergman, Kyle Ryan, Ian Clarkin, and Manuel Rondon walked six guys in six innings. Not much better at the plate for the Cubs as they could only manage two runs on four hits in the loss. The lone bright spot at the plate was second baseman Trent Giambrone who went 2-for-4 with a double and his first home run of the spring. 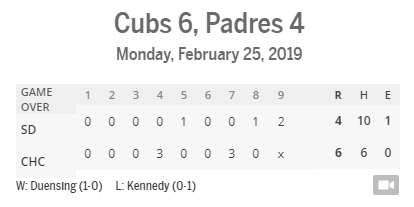 A much better result at “home” against the Padres, as this Cubs team was led by the big lefty Jon Lester who made his spring debut. Lester was sharp, he walked the first guy he faced, allowed him to steal 2nd and 3rd then got out of trouble per usual. Lester worked two innings, allowing only one base-runner and striking out three. Working out of trouble was all the rage in this one as Brandon Kintzler, Brian Duensing, and Randy Rosario all worked scoreless innings despite heavy traffic on the bases. A couple of loud noises from the Cubs hitters today. Willson Contreras, and Jared Young launched long home runs, a three run shot for Contreras and a two run dinger for Young. Kris Bryant was picked off first in this one which is the only time that he has made an out this spring, he finished the day with no official AB’s and two walks. The 3-1 Cubs are back at it again tomorrow afternoon against the D-Backs when Yu Darvish will make his much anticipated 2019 debut. I’m probably a bit too excited for Cubs baseball, but who cares, what the hell else is there to be excited about? Cubs prospect Nico Hoerner just shared a video of fellow Cubs prospect Jared Young murdering a baseball. Thanks to Scott Johnston for sharing, ka-boom! Two spring games, and two victories for the Cubs as they wiped the floor with the Giants today. Now I’m sure the Cubs will lose at some point this year (maybe? ), and spring doesn’t mean much of anything but it’s nice to see two wins on the board early. The second inning told the story in this one as the Cubs exploded for eight runs, six of those runs off postseason world beater Madison Bumgarner. The Cubs implemented the death by a thousand cuts attack as only two of their thirteen hits were of the extra base variety. 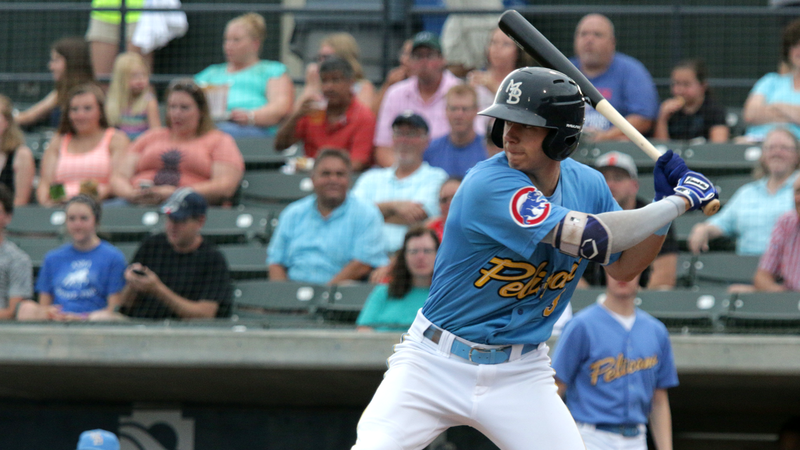 Albert Almora had a good day out of the lead-off spot going 1-for-3 with an RBI and a run scored. Anthony Rizzo and Kyle Schwarber also made their 2019 debut today and were effective at the plate. Schwarber looked particularly good going 1-for-1 with two walks, and an RBI double off Bumgarner. Tyler Chatwood got the start today, and only managed to walk one batter. That number is a bit deceiving as Chatwood worked behind in the count repeatedly, hit a batter, and gave up a two run shot to Brandon Belt. At this point the results mean little for Chatwood, it’s more about finding the strike zone, and today would have to be summed up as… meh. Two intriguing arms that could factor into the Cubs 2019 bullpen tossed scoreless innings today. James Norwood worked his way out of some trouble after giving up two hits, and walking one in his inning of work. Meanwhile, Dillon Maples was spitting hot fire, he struck out two without allowing a base-runner in the victory. Next up for the Cubs, split squad action in the desert. Christian Bergman will get the start against the Dodgers while Jon Lester gets his first crack at spring action against Manny Machado’s Padres.